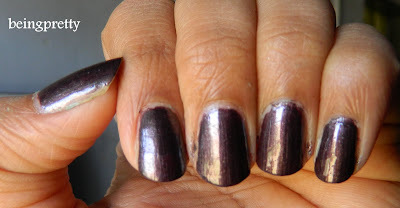 being pretty-an indian girl's blog: Dark Coffee NOTD!!! Hey everyone!!! 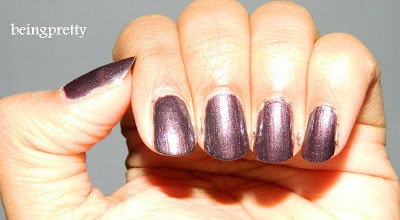 I am missing blogging like anything..and my internet was having some problem too..
What a beautiful colour! It has a gorgeous purple glow to it.